I’ll be honest that I’m just waiting for it to freeze so we can be done with things. Not that we couldn’t pull things out already, but it’s hard to do! You always want to see if just a few more things can ripen before the yanking happens. I’ve got a couple squashes that I want to ripen, but it probably won’t happen as the nights get colder. We have slowly been removing tomatoes, but everything else is still growing strong. The pole beans have really come on strong in the past couple weeks. 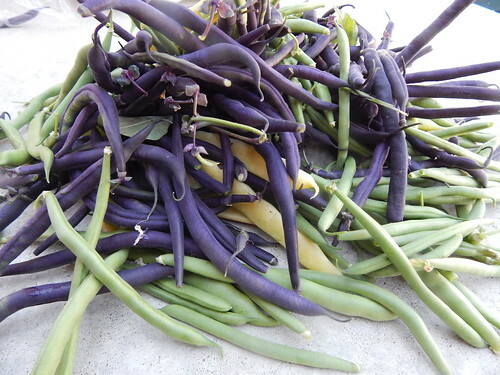 The moral of this story is that fall planted pole beans can produce well, but spring planted pole beans are awful. 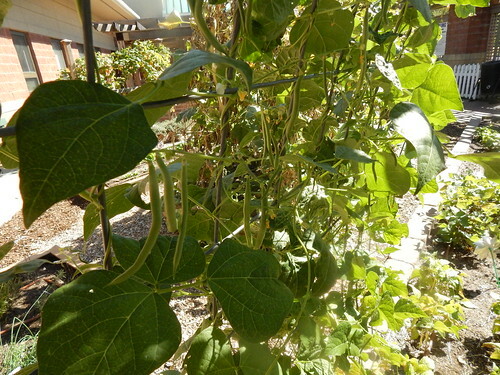 Now the question is yield per square foot compared to bush beans…something to look at another year. We haven’t had much for caterpillars in the garden this year, for whatever reason. 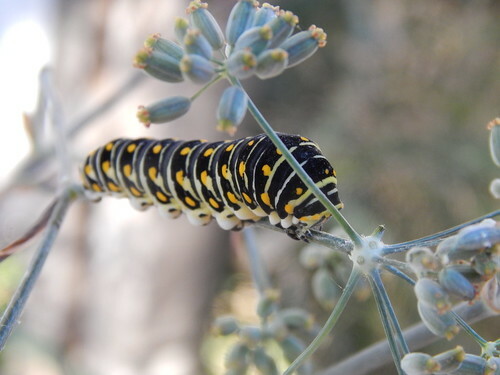 We do have a few of these Black Swallowtail caterpillars on the fennel this week. The Mexican Blue Sage (Salvia leucantha) is finally in full, glorious bloom. It is also very attractive to our bees. When I was trying to capture some good pictures, I realized that the grasshoppers are also enjoying the plant! 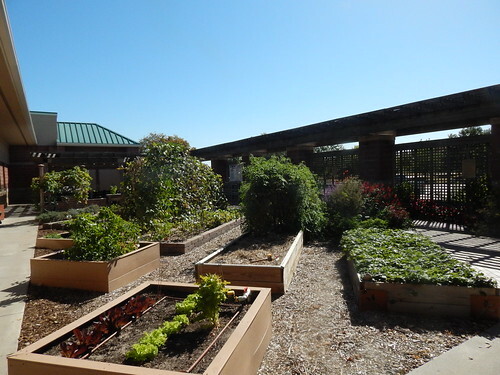 Posted on October 16, 2015, in PhotoEssays and tagged beans, caterpillars, fall, fall gardening, flowers, insects. Bookmark the permalink. Leave a comment.